They won’t distract you, they won’t talk you down on price, they won’t try to change the way you do your job, and they won’t disrespect you. You can get good clients every single time. And it’s not a dream: it’s the result of following a system. We’re on part two of a four-part series on client work. Today’s episode covers filtering out bad clients and how to find and attract more of the clients you actually want. Value-Based Pricing helps you make more money and enjoy the process of doing it. A good client relationships is built on mutual trust and respect. You have to say no to all bad clients (not just some of them) to be able to say yes to good clients. You only get bad clients if you take them on. Every prospective client must go through your questionnaire, no exceptions. Your questionnaire is your filtration device. Every bad client is a result of something you did or didn’t do. The wrong clients will focus on money and price instead of goals and value. If the client wants to change parts of your process, that is a red flag. 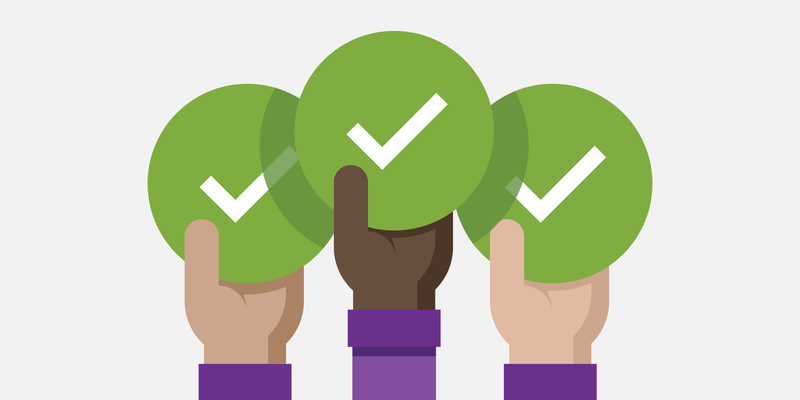 Set expectations with your client in advance for everything. You never define the value for your client—you only uncover it. If you want great people as your clients, you have to position yourself as someone they want to work with. Don’t just show potential clients pictures, show them how you solve problems by telling stories through case studies. Who are the people you want to work with? Where are they hanging out? Go there! Step in front of them. Make yourself known to them. A great way to get the attention of someone you want to work with is to provide no-strings-attached value. 02:39 Sean: If you want to attract high value clients, you have to conduct yourself as a professional. They’re looking for a certain type of person. The best clients will pay you the most money to focus on doing great work that produces value, and they’re not going to distract you, talk you down in price, change the way you do your process, and they’re not going to disrespect you. It sounds like a great situation, kind of like a dream. It’s not a dream. It’s just a result of following a system. 03:13 Ben: I was thinking about this a lot, and for my business, administration is definitely not my strong suit. I’m not great at the detail work of processes and stuff like that. I do it because I know it’s important, but I have often felt the need to have someone else be the person who helps make up the difference, at some point. In the meantime, I feel like I’m working ten times as hard as I do on stuff that I’m really good at just to do the administrative stuff that needs to work. 03:52 For example, making sure people follow your process and that you’re conducting your business the right way, that you’re keeping track of things the way you’re supposed to. I feel like I have to work ten times as hard at those things than I do at the other things that I’m better at. That’s kind of me sharing my personal struggle. Should I expect that that’s just the way it is? If I really want to have those clients, I’m going to have to put in that extra work until I get to the point where I can afford to have someone else come alongside and support that part of my business. You don’t necessarily need someone else to work with you to get to a point where you’re working with great clients. 04:42 Sean: I think you can do that on your own—not that every single part of doing the work that’s needed is fun, but I think you can get to a place where the people you work with are so great that everything else is overshadowed. It doesn’t feel… I don’t know how to explain it. I rent the house we live in. I don’t own the home. Some people might say that home ownership is a pain, because you have to repair things and stuff. 05:16 This may not be the greatest analogy, but when you own something, you’re able to overlook minor inconveniences because of the overall feeling you have that you’re proud to own something. That may not be the best example. When you work with great clients, there will still be administrative work you have to do that may not be super fun, but so much of your work, what you do, and what you spend your time on in a day will be enjoyable and fun for you. 05:52 Not only will these other things seem like a minor detail, but it’s going to result in you having a better overall outlook, better results for your work, better clients, and more money. You’re able to quickly get to the point where anything that’s even a minor inconvenience, you could outsource or delegate. 06:11 Ben: I feel like part of the problem is that a lot of the things I work into my process are reactionary to bad clients—clients I wouldn’t normally take on. It’s good to patch the holes in your process, but better clients are going to result in not having to be so focused on the process. 07:06 That’s what we’re on a mission to solve here—client work feeling like this burden, this drag, this thing you don’t enjoy. Client work can be something you enjoy, and we were trying to set the foundation for that in the last episode. In this episode, we’re going to look at what you need to do to be able to attract those great clients and work with people who will pay you well and let you do your job and enjoy your work again. 07:32 Sean: Like I said, this is episode two of a four part series we’re doing. The reason we’re doing this series is because we’re reopening enrollment for our flagship program, Value-Based Pricing. We first launched this last year after a six month pilot program and after working on it for two years. Now, a year later, we’re reopening enrollment. We’re about to. That’s why we’re doing this episode series, to let people know to go to ValueBasedPricing.com. 08:03 Value-Based Pricing is more than a course. It’s a complete system to doing client work—everything from the education to the custum-developed pricing tools that handles all of the complicated math for you, to the scripts you need to use. Justin and I have spent many hours, three hours, on a single sentence response to a client question, the one where they’re like, “Just give me a ballpark of what it’s going to cost.” You’re hesitating because you know you shouldn’t be doing that, but you don’t know how to respond. 08:35 We spent the time it takes to give you that response, so you don’t have to think about it. Yes, it’s making more money and enjoying your work, but a lot of it is the enjoying your work part. You can make a lot of money doing something that’s a total drag, something that feels like a chore to you. You’re not going to enjoy your life. Value-Based Pricing is about making more money and enjoying the process of doing it. 09:06 It’s because we’ve solved every single client problem with Value-Based Pricing. You name any problem you’ve had with clients, and we’ve solved it. We’ve preempted it. We’ve gotten rid of it. We’ve spent years on this. You won’t have any more bad clients. You may be thinking, “Can Value-Based Pricing work in my industry with the type of thing that I do?” What if you don’t know what the value of your work is? What if you’ve always had a hard time figuring that out? 09:43 There is a secret to it. You never actually will know. You don’t get to a point where you know what your work is valued at, inherently, because you don’t actually define the value of your work. The client defines the value of your work, and that’s the biggest misconception about Value-Based Pricing—thinking you define the value, and nothing could be further from the truth. A lot of people miss this point here. 10:11 They’re constantly guessing at what they think their work is worth, what they should charge, and should they increase the price? Did they charge too low? They’re going off of ballparks. They’re guessing. Here’s the deal. You’re never the one to come up with the value. You don’t guess the value. You don’t even determine the value. What you do and what we teach is how to follow the steps, ask the questions, listen to the client, and do the math. 10:40 We even have tools to help you do the math. That’s basically what we’ve codified here. You’re never going to be able to make a system like this, unless you have years of time to dedicate. That’s why I like to compare it to a chair, like this Herman Miller Aeron chair that I love so much. If your chair breaks or you need a new one, you don’t go to the shed and get some scraps of wood and cobble it together yourself. You invest in a chair that other people have spent years perfecting. 11:09 They’ve perfected this system. You get it, you invest in it, you bring it back, you sit in it, and you trust the system so you can focus on doing your work. That’s what Value-Based Pricing is. 11:21 Ben: I have a list of video equipment I’d like to purchase. I have an Amazon wish list, you know. I have it kind of in order of the things I’d like to purchase. I’m pretty sure, of all of the equipment or tools I’d like to invest in for my business, Value-Based Pricing probably just jumped to the top of that list. 11:50 Ben: I can always buy a piece of equipment that will allow me to make a better product. The investment of Value-Based Pricing is like buying your first camera—it’s necessary just to get started on the right foot. 12:25 In my mind, it has shifted to become this more necessary thing for my business. 12:31 Sean: I’m glad you said that, because it’s both for the person who has been established in client services for a while, for years, and someone who’s wanting to get started. A lot of people are like, “I don’t know. Can I do this right off the bat? Do I have to have been doing client work for a long time?” The only thing that doing client work for a long time does, the only difference, is that you will have made a bunch of mistakes. 12:58 We’ll help you fix those mistakes, but for those two people, we’re either fixing those mistakes or preventing you from making them in the first place. Both are good things, but I would totally rather you avoid them entirely. If you’re just getting started, I can’t think of a better primer. It’s the entire system, the blueprints of how you do client work. I told you this before we started streaming. We stream this show live, and the members of our Community get to tune in, watch, participate, and ask questions. We also open it up a little bit early for questions. 13:31 Sean: This episode is pretty much dedicated to Sarah, who showed up early and asked so many good questions that I basically wrote a book of value. It’s awesome, awesome questions. We’re going to get to that after the meat of today’s show. Stick around for that. It’s going to be really good. To get into things—why good clients? While I read a couple of things people shared in the chat, think about why you care about getting good clients. Why does that matter to you? I want you to think about it, because I also asked the members, and they shared a few things. 14:11 Ben: I know right away. 14:14 Sean: Just a second. I asked them, “Why good clients? What’s the point? Why does it matter?” A couple of answers here. “Because working with bad clients ends up in everyone being unhappy.” It’s not just that they’re happy and you’re not. Everyone is unhappy. “Because I love what I do and I want to keep being happy doing it.” “Because good clients send you other good clients.” That’s a good one. What did you have? 15:20 That question is so debilitating in whatever creative field you’re in, whether you’re designing a logo or you’re building a website. If you start saying to yourself, “What is the client going to think about this?” It completely takes you out of the mode you need to be in to do your very best work. When the client trusts you and you’re able to do your best work, their expectation is that when you present the final thing to them, you walk them through the decisions you made and how they match up with your goals. 16:03 Their expectation, if they’re a great client to work with, is that this will exceed their expectations and that they’re going to be excited about it. You’re just excited that you get to share something that you feel really proud of, that’s going to be effective. That’s the kind of interaction I want to have. 16:33 A lot of the time, I blame them not trusting me on my being newer in the industry. I don’t have as much social proof to back me up. Really, a lot of it comes back to me not being confident enough in my own skills. 16:49 Sean: That’s what Karen just said. She said, “You gain confidence.” Did you have any, Cory? 17:13 Sean: You want to do good work. 17:15 Cory: I want to do good work and have them just trust me. That trust means so much. 17:24 Sean: Is it not even about that you want to do good work, and if they don’t trust you, you can’t do good work? It’s not actually about doing good work, it’s about the trust. 17:32 Cory: Yeah, it’s about the trust. It feels so good. There’s respect there, both ways. 17:44 Ben: It’s kind of subjective, the quality of your work. Maybe there’s some range of what is top of the line, that’s absolutely going to be an effective solution, and down at the bottom there’s something that’s still effective, but not as effective as this. Whatever that range is, for most professionals who are taking on clients, who operate in that range, the difference for the client in feeling whether something will be an effective solution or not comes from their level of trust in the professional they’re working with. 18:25 In that sense, it’s subjective. It’s based on what their perception is. The less the client trusts the professional they’re working with, the harder it’s going to be for them to think of their work as an effective solution. Then, they feel like they’re taking on a risk. They don’t like it. Their subjective feelings get involved, and that’s where things start to break down. I totally agree with what you’re saying about trust. When a client trusts you completely, you have the freedom to create something effective without worrying whether the client is going to like it. 19:13 They’ve already decided, if they trust you, that they’re going to see it as an effective solution. That takes a ton of pressure off. 19:26 Sean: Sarah just said, “Feeling trusted drives me to do my best work. When you’re in the driver’s seat and your whole family is in the car and they trust you, you feel empowered about keeping them safe.” I also think about some of the greatest works that have lasted. If you’ve ever been to any museums, we went to the Met when we were in New York, and we saw all of these paintings and works of art. 19:53 A lot of those were commissions. They were client work, but they’ve lasted, some of them, hundreds of years. It’s really cool. When there’s mutual trust and mutual respect between a client and a professional, good things come of it. All of that, this picture of why we want good clients, is worth doing what it takes to get those clients, to get those relationships, to set up those kinds of projects for success. 20:23 Sean: The thing to realize is, you only get bad clients if you accept them. We touched on this in the previous episode, but there is no such thing as clients from hell. There is no such thing as bad clients running around. We illustrated this by me saying, “Cory, will you do work for me for $50? Ben, will you do work for me for $50?” If everyone in the world says no, I can’t be a client. 20:48 You’re making me a client by taking me on. If I run around, I’m just a crazy person running around. I’m not a bad client running around, because I’m not a client. There are no bad clients out there, there are only the ones that you take on. 21:04 Ben: I liked the metaphor that you had of minting them. It’s like the Uruk Hai. 21:48 Sean: It’s harming the industry? I’m compromising everybody else’s process when I compromise my own because I’m creating that expectation in the market. 21:56 You minted this Uruk Hai. This bad client is running around, and now he is a bad client. He exists because you took him on. It’s a very, very simple concept, but people forget this. There are people you don’t want to be your clients and there are people you do want to be your clients. Ideally, you want to get to the place where you’re taking on only the people you do want to be your clients. 22:23 The path to getting there is not taking on the wrong type of clients. It’s two directions. One road, opposite directions, East and West. Which way are you going? If you’re taking on bad clients, it will only ever lead to more of the same. The change happens when you stop, do a 180, and start heading in the other direction. The paths don’t merge. They go in opposite directions. 22:52 Sean: All that to say, you are a prospector. In the Wild West, you’re sifting for gold. There are good clients mixed in with a bunch of other people who are bad clients, or people that would not be good clients. You don’t get to have the gold unless you sift out everything that is not the gold. That means saying no to bad clients. Simple concepts here, but people really need to be reminded. Say no to bad clients! It’s not just saying yes to good clients. When your schedule is full, you can’t say yes to good clients. 23:29 Even if you have ten slots on your schedule and you’re like, “Well, I’ll just take nine and leave one open for the good client,” that’s not how it works. You’re missing the point. Start from the premise that you have to say no to all bad clients to be able to say yes to good clients. Good clients aren’t common. Their availability may be different. What if you’ve got this one slot available that you’ve been saving for good clients while you take bad clients on the side, but the good client isn’t available during that time? 24:00 What if, because of things that you’ve blocked out—possibilities, potential routes and opportunities that you’ve blocked out by saying yes to the wrong opportunities—what if, because of that, you never see all of the good opportunities you would have had? That is the blinding that happens. When you say yes to bad clients, you don’t realize all of the opportunities you’re missing, the ones you don’t even get to see. 24:28 You think the good opportunities will come along and present themselves and you’ll get to say yes, but it’s all about setting yourself up with the ability, the currency, to say yes. That starts with saying no. 24:41 Ben: There is something Nathan said here that I’ll paraphrase from the chat. I really liked this. It goes along the same route as what we were talking about with minting bad clients. 24:53 Sean: As a teaser, we are going to get into how to filter them out and exactly what to do, just so people know. 25:29 Sean: I’ve got a script for you here. Do you want me to share it? Okay. “Hello [Name], Thanks so much for getting in touch. I really appreciate you taking the time to provide that information.” What information? We’re going to get to that next, the questionnaire you require everyone to go through. “As a result of receiving so many inquiries,” and if that’s not true, don’t say it. You can omit that piece, and it still works here. 26:11 “My schedule is quite full.” You can even remove that, if it’s not true. Say, “I’m greatly selective about the projects I take on. After consideration, I will need to kindly pass on the request, but I do want to sincerely thank you for your interest and your time. All the best,” It doesn’t say, “I think you’re a bad client.” It doesn’t say, “I think you’re a bad fit. I don’t want to work with you. We should never work together.” You’re not burning a potential bridge. 26:37 You’re leaving the door open, but you’re being respectful. No one who is the right client, that maybe you didn’t recognize, will be offended by that. If you’re thinking, “You just said that you’re greatly selective and you didn’t select them. Aren’t they going to be offended?” That’s so incredibly presumptuous, I would never want that person as a client. They have no idea. What if I was busy? What if I didn’t have the time? What if any number of things that I said, “I’m greatly selective and I have to pass this time”? 27:40 Sean: They’re not going to say that. If they say that, work with them, because they’re great. I’m dead serious. They won’t do that. That’s amazing if they do that. You could even reconsider. 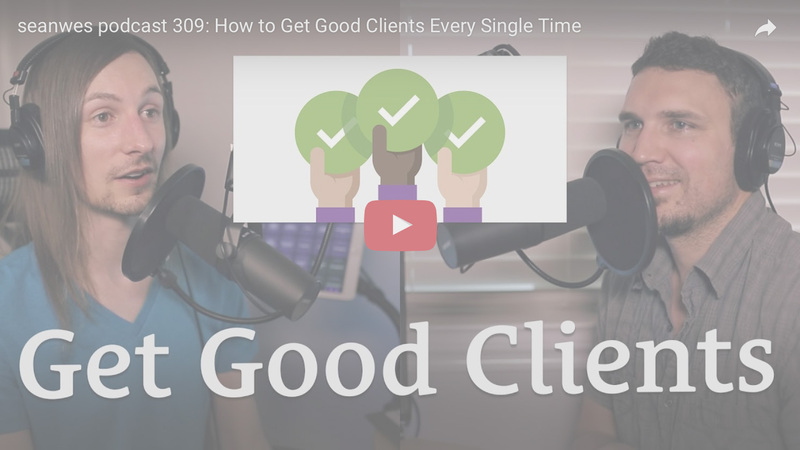 28:08 Sean: You have to pass on bad clients, but how do you know that someone is a bad client? You have to filter them out. When you’re sifting for gold, a filter lets the bad things pass through and keeps only the good things. The point of a filter is to disqualify what you don’t want. Remember that, that’s the point of a filter. When it comes to clients, your filtration device is your questionnaire. Your questionnaire is a series of questions that you ask prospective clients before they can even contact you to talk about their project. It’s very important that they fill this out before they can even talk to you. 28:50 Ben: I have a question about this. I did a thing recently where I was handing out referral cards to my networking group, and I purposefully didn’t put my phone number on there but had a link for them to visit my website to fill out a questionnaire. Every single person that I handed the card to said, “Hey, your phone number isn’t on here.” That was the expectation. I’ve noticed in that group, specifically, that there’s an expectation that if there’s a direct referral, that they will have some kind of exclusive access to you that the general population doesn’t have. 29:36 Based on that, would you say that—I think I know how to answer my own question—it’s still in the best interest of the prospective client, whether they’re a direct referral or not, to go through that process? That’s instead of accessing me directly. Giving them direct access doesn’t really do them any favors. 30:03 Sean: Yes, do you want to hear the next part of my outline? You got it, though, Ben. The questionnaire is a series of questions you ask prospective clients, and by this criteria, you’re able to determine whether this person is worth spending the time talking to. 30:23 This is not about whether or not they’re a great client. The filter never stops until the contract is signed. Actually, I retract that. I forgot part of the Value-Based Pricing system. The filter is a pervasive piece throughout the entire project. It is possible for a bad client to only surface once you get into the project. How can this happen? It can happen as a result of you not asking a question that would have filtered them out. 31:06 Something to keep in mind is that you’re always in a mindset of improving your process. When you first implement the Value-Based Pricing system, you’re not going to do everything perfectly. You’re going to make mistakes, and people will fall through the cracks. They’ll end up becoming your client when they shouldn’t have been. The thing you don’t want to do is beat yourself up about it. You need to continually improve your process. 31:35 All problems are your responsibility, so take on that ownership. Put on your responsibility hat and say, “How can I figure out a way that I could have prevented this?” You always want to have that filter in place, because you need to improve your process. That filter is your questionnaire. There are a bunch of questions that you ask. Obviously, we detail all of this and give you everything you need inside Value-Based Pricing, but I also share a lot of detailed questionnaire questions in episode 182 of the seanwes podcast. 32:38 Not emails, not referrals, not friends. No exceptions. Everyone goes through the questionnaire. You don’t circumvent your filtration. It’s like, if you’re filtering the water you put in your five gallon jug that you drink, you don’t go, “Hey, I found this water. It looks pretty good. Normally, I go through this whole process of ordering the water and filtering it, but I found this and someone dropped it off and said it was good, so I’m going to skip my filtration process.” You could end up doing harm to yourself. The purpose of the filter is to keep out the bad. 33:19 Ben: It might have Iocane powder in it. The Princess Bride? 33:38 Sean: There’s something called “Iocane powder” in the movie The Princess Bride. 33:43 Ben: If it’s in the water, it’s tasteless, colorless, and odorless. 34:44 Sean: You don’t want to circumvent the filtration. Nobody skips the questionnaire. Everyone goes through your questionnaire. That’s your filter. If you need suggestions, go to 182. 35:03 Sean: Once people go through your questionnaire, you’re going to be looking for red flags. Don’t ignore red flags. Cory is shaking his head, no. You can’t! I always say, red flags are like roaches—if you see one, there are 50 you don’t see. Remember, the point of a filter is to keep the bad out. It’s not to qualify the bad. It’s not to say, “You know what? Maybe this bit of feces can be converted into something drinkable!” The job of the filter is to keep the bad out! That’s what we do. 35:56 Sean: I know, but that’s what we do. We say, “You know what? There’s this red flag with this client, but they’re probably okay. As long as I talk them through this…” See what’s happening here? We’re qualifying. We’re not filtering. The job of the filter is to disqualify. When you see the red flag, that’s the filter doing its job, and you say no to the client. There are 50 red flags you don’t see. You want great clients? You have to say no to bad clients. Great clients pass all the tests and go through your filter with flying colors. 36:37 Ben: The difficult thing, and I’m sure we’ll get to this, is that it seems like the volume of inquiries you need in order to get that one great client—some percentage of however many people who visit your website and actually go to your questionnaire, some small percentage of that, is actually going to be a great client. How do you work up that volume when you’re actively disqualifying the bad clients? 37:20 Sean: What do you mean? 37:22 Ben: I mean, you need a certain number of inquiries coming through to even get to where that small percentage of people finds your questionnaire. 37:32 Sean: How do you increase the volume of good clients coming in to the filter? 37:35 Ben: Yeah, but it seems like in order to increase the volume of good clients coming in, you have to increase the overall volume of people coming to your website. 37:46 Sean: Not necessarily. If you increase the overall volume, it’s very likely that, because good clients are a percentage of overall clients, you’ll get more good clients, net. That’s true. But if you have a great filter that works on cleaning dirty water, the more dirty water you get to go through the filter, the more clean water you have. However, if you look at the source, maybe if you got clean water in the first place, it would be a lot faster. 38:17 You would get way more net clean water. It’s kind of yes to both, but I’m going to answer that a little bit later, because Sarah had so many great questions. I’m going to just give you a couple of red flags as an example of things to watch out for to disqualify potential clients upon. Focused on money, not value. Telling you how to do your job. Making decisions based on emotions and preference instead of data and desired outcomes. Disrespecting you or your industry. 38:49 What is value? Value, in this context, is what makes the client’s life better, what makes them more successful. What are their goals? What does achieving their goes look like? What do they want to accomplish? That’s the point of working together. The wrong clients will focus on money. That means, this is just a transaction to them. You’re a technician. They’re not really trying to accomplish any goals. You can’t help them succeed. That’s a bad sign, when they’re focused on money and not on value. 39:16 When everything is aligned, like we teach in Value-Based Pricing, the price you quote is always a no-brainer to the client. It’s always way lower than the value of the work. It’s never an issue. If the client is focused on money instead of value, that’s a red flag. 39:31 Ben: What are some things they might say that would tip you off to the fact that they’re focused on money vs. value? 39:39 Sean: They’re constantly talking about what the project is going to cost and what you charge, both of which are irrelevant, both of which you can take responsibility for in terms of stearing the conversation and setting expectations. 40:00 Sean: This is the three hours that Justin and I spent. We spent three hours on a single sentence response that will get the client back on track, help them focus on value and not expenses or money, trust your process, and have complete and total confidence that you and your expertise will get them where they want to go. One sentece response, and that’s inside Value-Based Pricing. Three hours! Another red flag is them telling you how to do your job. That’s bad news. That’s a red flag. 40:38 “I want you to work for me, and this is how you need to do it.” Do you immediately disqualify them? It depends on how they present it. Maybe, if it seemed like a misunderstanding, you could say, “My bad, I meant to share my process. This is how I work.” If they’re like, “We need you to work this way,” now you’re sure. This is not good news. That’s a red flag. If the client wants to change parts of your process, that’s a red flag—this includes pricing, time frame, revisions, and ontracts. 41:11 Making decisions based on emotions and preference instead of data and desired outcomes. Bad news! You’re not going to change the way this person makes decisions. It’s just a character trait of a bad client. If they’re disrespecting you or your industry? “You guys are always…” If they’re saying stuff that disrespects you or your industry as a whole, that’s a bad sign. This isn’t an exhaustive list, but hopefully it’s getting you thinking about these things. 41:43 Sean: Remember, you can’t fix red flags. It’s not your job. Even if you think you’ve fixed it, it’s just going to pop right back up. Your job is not to fix red flags. The job of the filter is not to say, “We can convert this into something drinkable,” it’s to say, “Keep out the bad!” Don’t fix red flags. You can’t fix them. If someone makes it through the filter, they’re good, and you want good clients. 42:12 This is the whole point. I’m going to tell you later how to increase the volume of good clients even coming into your funnel, your filtration, in the first place. We’re so desperate to qualify the wrong people! No wonder we work with bad clients. We’re constantly trying to turn them into good clients. When you’re spending time doing that, trying to change someone’s character, innate behavior, etc, that’s energy you’re not spending doing the right work. You’re not going to change them anyway. 42:48 Cory: On the topic of red flags, are there some that are potential red flags but aren’t quite a red flag? Ben said, “So, how much is this going to cost?” You say this one sentence reply and they get right back on track and they’re like, “Oh cool, I don’t care about money.” Then it’s not a red flag? 43:04 Cory: I think some of the things you said are obvious, immediate red flags. Okay, interesting. 43:10 Sean: In the curriculum, we do talk about differentiating between those. I would just say, for now, use your best judgement. If it’s obvious to you that it’s a red flag, it is. If you’re thinking that maybe there’s a misunderstanding or that maybe they were asking because they thought that was what they were supposed to do, you corrected it, and now they’re fine, that’s okay. 43:30 Ben: I think that there are some things that are the default questions, responses, or the conventional language that people use because they’re conditioned by other industries. They do that because they don’t know better yet. 44:04 Ben: “Everybody I work with, I disrespect, and it’s fine.” No. 44:17 Sean: Everyone goes to your questionnaire. This is the filter. You ask the questions. We gave you resources for finding the right questions. You talk to them. Once you’re talking to them, you’re constantly looking for red flags. You’re not going to ignore them or try and fix them. You’re disqualifying them. Once you’ve gotten past the point of red flags, it’s still possible to end up with someone who becomes a bad client. 45:07 They’re responsible for any content that is to be used in the project as well as defining the goals they want to accomplish with the project, and finally, the value of the project. Like we talked about earlier, you are not influencing any of those things. You’re not saying, “Actually, this stuff you want to use, we’re going to use something different,” or, “Instead of wanting to accomplish this for your company, you should want to do this.” They’re in charge of the goal. If the value of your work doesn’t come from your client, everything else falls apart. 45:55 The value has to come from them. Those three things are defined by the client. Everything else, you’re responsible for. Everything I just said, you might be like, “I think I got this. I know my responsibilities. For the next project I go into, I know those are my responsibilities.” Problem. Your client doesn’t. They’re not listening to this podcast. It is your responsibility to set the expectations for your client. Cory, if they’re telling you how to shoot the video, who’s fault is that? Who’s responsibility is it to tell them, before they even get to the point of telling you what to do, who’s job it is to say how we do it? 46:42 Cory: Obviously, their response to me correcting them is one thing, but like you’re saying, it shouldn’t even happen in the beginning. They should know how I work before even getting to that point in the process. 46:52 Ben: I don’t remember the exact context, but I just pulled this out of something someone said in the chat. “People don’t read.” For what we’re talking about specifically, it seems like we really need to over-communicate. You can’t communicate enough or put it in your questionnaire and assume that, because it’s there, they have read it and understood it. You can’t have it in your contract or your proposal or whatever else you send out and assume they know it. Any way you can communicate with your client, make sure they fully understand this before you get into the project. 47:43 Hopefully, this is in the questionnaire first, the question, “What are your goals? What are you trying to accomplish?” The client seems kind of vague or like maybe they don’t quite know what their goals are, and then you have the conversation with them and you say, “Okay, I see what you said here in the questionnaire. Could you be a little bit more specific about what you’re trying to accomplish?” And they’re still not able to articulate that. One, that seems like a red flag. 48:13 Two, instinctively, I think I might try to help the client get clarification, but it sounds like you’re saying, Sean, that I need to stay as far away from influencing my client’s goals as possible, what they’re trying to accomplish. I want to avoid any possibility of putting words in their mouth for the outcome they want. 48:37 Sean: Exactly. That’s what we teach inside Value-Based Pricing, the questions to ask to uncover the value. You never define the value for your client—you uncover it. 48:48 You’re asking questions. Left, right, left, right, left, right. My hands are in a chopping motion, all the way, closer and closer until my hands are together. Left, right. You’re asking questions. You’re a sheep dog. You’re herding. 49:26 Ben: I get what you’re saying. If they are vague and they haven’t articulated it well, it’s still okay to try to figure that out through questioning, but not through guessing and putting words in their mouth. They feel uncomfortable not knowing the specific answer. When you ask questions, it helps them clarify that for themselves. If you give them ideas, because they feel uncomfortable not knowing something, they’re going to be more likely to agree with what you say, even if that’s not really what they want. 50:07 Sean: People in the chat are getting restless. They’re saying, “I get the point. Weed out the wrong type of clients. Now I want to know how to attract the right ones.” Here’s the thing. The right ones are in the pool. You’re not recognizing them or getting them because you’re saying yes to people that are not 100% perfect. You don’t believe it exists. If you don’t believe it exists, you’ll never find it. 50:37 I’m going to get really practical here. There is a way to increase the volume of the right type of clients coming in. They are there. They’re in the bunch, but I’m going to tell you how to increase the volume. This is where we get to Sarah’s question. Actually, she has a lot of questions. 51:04 Sarah says, “How and where are the clients who value professionalism? Most clients are attracted to amazing work (which is logical) but often at the expense of a truly professional process. Where are the ones who value both?” First of all, truly great work does not come from anything less than a professional process. Let’s establish that first. They go together. 51:30 That’s how great work is made. You don’t get the results without the process. Great clients are smart people. They’re great clients because they do all the right things, they respect you, they don’t interrupt you, they don’t mess with your process, they don’t change the way you work, they pay on time… How do you think they got to this point? They’re selective. They are practiced. They are experienced. They are respectable. They’re good people. This is cream of the crop. 52:18 It’s a privilege to get to work with these people, and if they’re smart, you can believe that they already know that you don’t get the results without the process. Let me show you how absurd it is to expect anything else. Smart people don’t. You cant go into a world famous pizza restaurant and say, “I want your famous pizza, and I want it to taste the best, but you must make it with my recipe.” That is how absurd it is. 52:48 We’re like, “But Sean! So many clients do that!” I know. They’re bad clients. The good news is, the great clients don’t do that. They understand that you don’t get the results without the process. Sarah asked a bunch of questions, and we’re unravelling a narrative here, so I’m going to keep going through her questions. 53:09 Sean: “Many people who look for designers browse portfolio websites (Dribbble, Behance, etc. ); do the great clients have the same behavior? If yes, how do you show off professionalism when you’re just one more great looking piece of design in a grid?” Great clients are smart. Do you think smart people think that a picture tells the whole story? I don’t. I consider myself to be a great client. A lot of people have worked with me. I’ve hired people straight out of the Community, people who listen to this podcast. 53:42 I think I can safely say I’m a great client. They’ve said I’m a great client. I’ve been on both sides. I’ve done the work for bad clients, for great clients, and I’ve been a client. I know what it takes on every end, and as a great client, I can say this about myself. I’m smart. I’m selective. And I pay above and beyond. This is kind of a side note, but my book, Overlap, is launching on June 13th. 54:13 I’m working with an editor. I hired a professional editor, and he was commending me. He said, “Your work is great. I’m not just saying this. You are an experienced writer. It’s good. We can take it from good to great, but I don’t see a lot needing to be done here.” That’s high praise from a professional editor. All that to say, I could have released the book without hiring a professional editor, so I want you to understand the quality of the book already, as it is. 54:45 Yet, I’m going out of my way to hire a professional editor to make it even better. Not only that, but I hired him, he told me how much it was going to cost—I’m smart, and we’ve talked in the past about the two types of brands, discount brands and premium brands—everyone buys from both discount brands and premium brands. Just because we buy from premium brands who never discount their rates doesn’t mean we’re not going to use a coupon. 55:18 We’re not stupid. We’re not idiots. We’re smart people. If a client tells me how much a project is going to cost, they’re not asking me what the value is. It stands to reason that I would say, “Okay, that’s the price. I’ll pay it.” I’ve done this before. Most people work this way. I understand. They could get more money if they understood how Value-Based Pricing works. However, this guy told me how much it was going to cost, and I said, “I want to pay you 40% more.” Have you heard of that, Ben? 55:55 Ben: Where are those clients? 55:58 Cory: At this point, had you already worked with him? You didn’t know what it was like at this point. 56:02 Sean: I’ll give you some back story. Six months ago, at this point, seven, I was doing some research about getting your self-published book edited, and I found an article from him. It was a great article. The content itself was great. It was a guest post on someone else’s blog. It wasn’t even his own, but it showed up in the search results. There were a bunch of comments. 56:23 Every single comment had a reply from him, the author. Every comment. I thought, “I like this guy.” That’s pretty good. He took the time. I’m not ready to hire him yet. I click over to his website. Okay, he’s done some other work. It’s pretty good. I’m still not convinced. He has a newsletter. I sign up for the newsletter. For six months, I got his newsletter. He was consistent. He was dedicated. He was regular. It came out every single week. 58:03 This is what I want to pay him. You don’t get those kinds of clients when you’re acting like someone who isn’t professional. You get amazing clients who will pay you more than you ask when you act like someone who’s worthy of getting those clients. 58:16 You know what else? Someone else asked me, “Hey, who are you hiring to edit your book?” I sent them to his newsletter. I said, “You have to get on this newsletter, it’s great.” He stopped the newsletter. He was like, “Someone told me to do it. I was doing it for a while. I ended up stopping it.” I told him my story of how I came to hire him. He said, “I just want to let you know, Sean, I’m starting up the newsletter again.” Surprise! 58:52 Ben: That story tells me one thing. It’s not an overnight thing. It’s not like, “Oh, there’s the pool of great clients. I’m going to go ahead and jump into it.” It sounds like you vetted this guy for a while. You checked him out. You spent some time. 59:19 Sean: He also curated, as an editor for self-published authors of non-fiction. 59:26 Ben: It’s not like you went looking for somebody and reached out to him that same day. As a great client, you gave him an opportunity over time to develop trust with you, before you even came into contact with him. I think that’s the thing that a lot of us are missing. We forget that building trust is not just something you do once you have contact with the potential client. You build trust with a potential client constantly, even before they contact you. 01:00:08 It could take an entire year for a great client to develop trust in you based on what you’re putting out, based on your consistency. 01:00:22 Sean: You got it, Ben. Consistency. Most people don’t realize that. They think it’s all about the content. Sarah, this next thing I’m going to get to is the big one of the episode. It’s not just about the content. It’s about the consistency. I didn’t always even read the newsletter. It wasn’t even always relevant to me, but he stayed top of mind. That’s it. Going back to the original question about standing out in a grid of pictures. 01:00:54 Case studies, case studies, case studies. We have an entire module on this inside Value-Based Pricing. Essentially, telling stories of the problems that you solve. Novices show pictures; professionals show how they solved problems. That’s all I care about. Show me how you did your work. This guy had a bunch of books that he finished. I’m not going to read them. They’re just books, pictures. His newsletter showed me process. Don’t show potential clients pictures, show them your process and tell a story through case studies. 01:01:29 Go more in depth. Smart people are looking for any way they can figure out that you know how to solve the problem that they want solved. 01:01:40 Ben: I keep having this back and forth with myself. I don’t have a demo reel of any of my work, which I still think is important, to have a condensed piece of something that shows the quality of my work. What is even more effective is when I can show that alongside my understanding of the problems that the clients came to me with and my solutions, how I solved them. They’re not going to sit there and watch several three to four minute videos that I’ve produced. 01:02:20 Sean: They’ll just see that there are three to four minute videos. Watch one, and they’ll multiply it in their heads. That’s what I would do. 01:02:25 Ben: That will speak to the quality of my work, which is fine, but what will really speak to great clients is how well you understood and solved problems. 01:02:38 Sean: You can do that with a video, too. 01:02:41 Ben: Yeah, you could do that with a video. You could do a video case study. 01:02:47 Sean: That would stand out a ton. Sarah has even done that. She has said that she has tons of case studies. I know for a fact that she’s even done video case studies. She’s actually done everything right. 01:03:32 First of all, I want to say that what she’s doing is fine. She’s wanting more clients, but the teaching is attracting students, she says. Should she change what she’s doing? I don’t think that she should. This is going to go a long way toward establishing you as an expert in the eyes of your prospective client. When the client comes to your site and sees you teaching, they will automatically assume you’re an expert. That’s why it’s a very good thing. 01:04:09 Now, you simply need to get in front of that client that you want. The client isn’t going to be attracted by the teaching, necessarily. They’re not wanting to learn how to do what you’re going to do for them. It’s only once they’ve seen it that they’ve seen, “Hey, you know what you’re doing.” They’re not going to be attracted by the teaching. Are you tracking with me, Sarah? 01:04:35 Once they’re on your site, the teaching is good, but the teaching itself isn’t what attracts them. How do you attract them? There are several ways, and I’m going to get really specific. We said one: case studies. These are the types of things that they like. Do pro-bono work, providing no-strings-attached value. Pro bono work is a whole other topic. Self-initiated projects. Here’s the key. Where are the people you want to work with? Go there. 01:05:21 Be present where they are and make them aware of you. You’re doing everything right on the home front. Keep doing case studies. Now, you need people to come there. Ben, I prepared this wonderful analogy to finally drive this home. It’s like you’re having this wonderful banquet. You can help me out. Can you describe this banquet hall? You want to raise money for charity from rich donors. 01:06:09 Ben: It’s in a castle, obviously, a really nice one. It’s got one of those really long tables. It’s very ornate, decorative. 01:06:21 Ben: Yeah, gold. Tapestries. Chandeliers. Crystal, just beautiful. 01:06:26 Sean: All the place settings. 01:06:28 Ben: All the place settings. The table is narrow enough that people can sit across from each other and have conversations, but it’s wide enough that the food, the spread, is all the way down the table. It’s almost like Harry Potter-esque. You know how their food appears on the tables, if you’ve seen the movies? The table is wide enough for the food to be there. Then you have people coming out serving drinks, asking if you need anything else. Whatever you need, you’re attended to. 01:07:03 Sean: Jonathan says, “I have the picture in my mind.” You’ve prepared this wonderful banquet to raise money for charity, but you’re not getting any donations. What’s going wrong? You’re asking yourself, “What more do these rich people need? I have fancy food, entertainment, a great speaker. Why aren’t they donating?” That’s not your problem. The environment you fostered is good. But guess what you didn’t do? You forgot to send the invitations. 01:07:40 If they made it to the party, if they were at the banquet, they would be so moved that the donations would break records. Everything on the home front is good. The environment is right. You’ve done all the right things. These rich donors are busy people. That’s how they have all the money in the first place. They’re go, go, go. Work, work, work. They’re busy people. You have to get their awareness first. How do you get the awareness, the attention, of a busy person? Two ways. To get the attention of a busy person, step in front of them. 01:08:15 You can take this literally or figuratively, but I want you to imagine that this is a New York City street. This busy person is trying to keep a low profile. They have a ball cap on. They don’t want to be recognized. They have their head down and they’re briskly strolling down this dirty New York City sidewalk. If you step in front of them, you have their attention. But you had to know where they were in the first place, right? 01:08:41 Step in front of them. Where are they? Go there! Be there. Make yourself known to them. The other way to get the attention of a busy person is to provide no-strings-attached value. What is this? We go back to who you want to work with. The clients you say you’re not getting, you can’t be vague and magical about it. Get very specific. I want you to sit down and define who this person is. Write out a list. Who is this? 01:09:10 Where are they? Where do they go? What do they like? What do they do? How can you provide no-strings-attached value to them? By no-strings-attached value, I mean, “Here’s a gift.” There isn’t a note that says, “Would love to work with you. Let me know about your next project.” Nothing. Just get on their radar. Drop a gift bomb and then be done. 01:09:33 That is another way to get on someone’s radar, but you have to go where they are. You can’t just set up a banquet, the perfect banquet, and expect a bunch of rich, busy people to come and donate. Where are they? You have to go where the people are that you want to reach. Go there, be there, make yourself known to them.